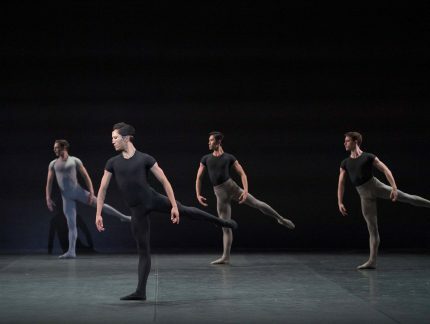 Regularly held in our studios, Dancer in the Spotlight is a fantastic chance for the Friends and Patrons of English National Ballet to get to know one of the Company’s dancers. In February, the spotlight was on Artist of the Company Sarah Kundi. Sarah Kundi joined English National Ballet in 2014, having previously danced with Northern Ballet (2004-2008) and Ballet Black (2008-2013). Here she rehearsed the role of Myrtha, Queen of the Wilis, in Akram Khan’s contemporary reimagining of Giselle – a role she debuted in last Autumn. Coaching Sarah was First Artist Stina Quagebeur, who worked with Akram Khan to create the role. Stina could pass on first-hand knowledge of the intentions behind Akram’s choreography, and her own advice on how to define this major role. Akram is trained in both contemporary dance and the traditional Indian discipline of kathak, and his Giselle fuses these with the techniques of classical ballet. Stina offered insights on specific elements such as the placement of hand gestures: she explained the significance behind each in kathak, to ensure Akram’s intended meaning is conveyed. After the rehearsal, Sarah sat down for a Q&A with the audience, led by English National Ballet’s archivist Jane Pritchard. She recalled how watching her sister at classes first sparked Sarah’s love of ballet, leading to training at Central School of Ballet. 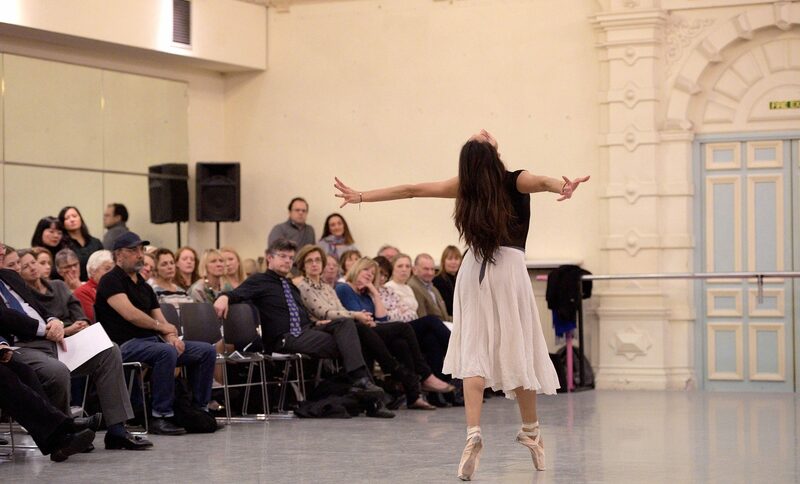 Her first professional contract at Northern Ballet allowed her to refine her acting on stage, due to the traditional narrative repertoire of that company. When she moved back to London to dance with Ballet Black, Sarah gained more versatility, as she was exposed to a range of dance styles. After a stint of teaching, dancing with English National Ballet for Swan Lake led to a contract with the Company, now almost four years ago! Celebrating emerging talent and showcasing the collaborative process which brings productions to life, the evening was also a fitting time to introduce to our supporters English National Ballet’s membership of the FEDORA Platform. 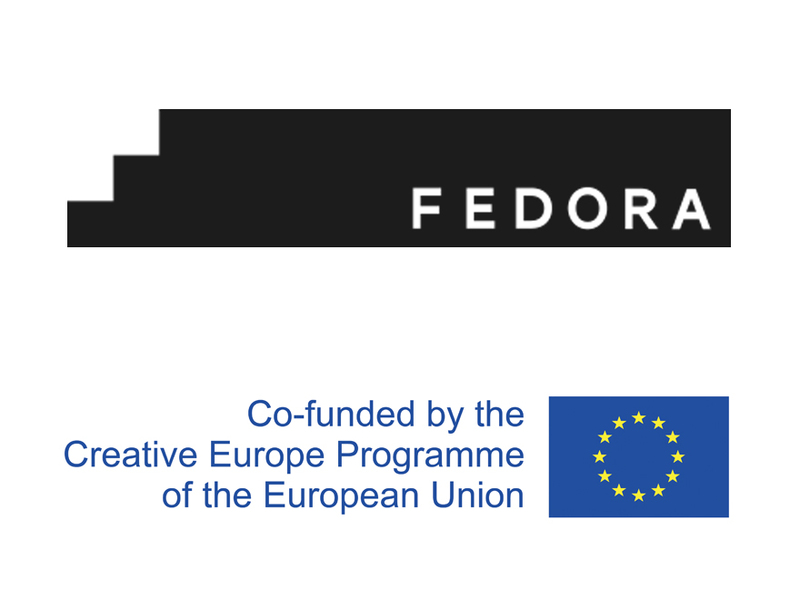 FEDORA Platform is a group of 19 ballet and opera companies aimed at encouraging investment in creativity, and collaboration in the performing arts across Europe. The programme is co-funded by the Creative Europe programme of the European Union. Become a Friend of English National Ballet and get the opportunity to be in the room at the next Dancer in the Spotlight event. Friends can also buy tickets to Masterclasses in our studios, Working Stage Rehearsals and more.